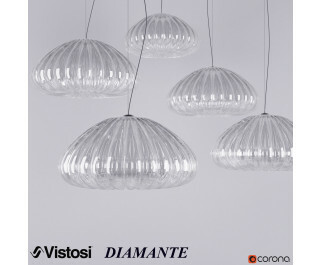 The Diamante pendant light by Vistosi has been designed by Barbara Maggiolo 2003. This handmade design is created in clear or topaz blown crystal. This creation will add an elegant touch to the decor. This beautiful light was created on the island of Murano. Each light comes with a certificate of authenticity.